Made it back to Longview for a long overdue visit with Grandma. My Grandparents have lived on S High my whole life and my Mom and I lived with them for a bit back in the day. 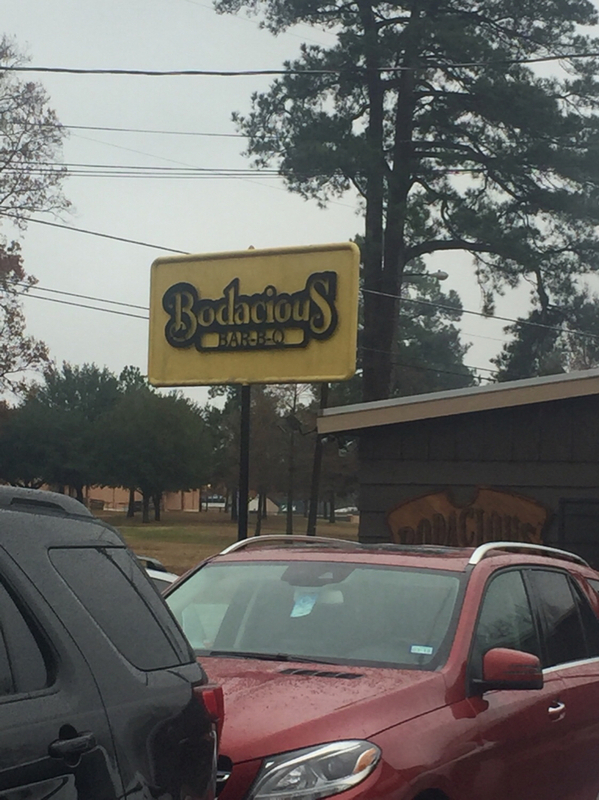 Needless to say The Bodacious on Mobberly was a regular spot to eat. Over the years it became a nostalgic spot to visit with good Q for a franchise operation but not a destination joint. That is until Pitmaster Jordan was given the reigns and put his spin on things. The Buzz started to build and then they landed #4 on the T50 list. So guess where I was headed as soon as I got home…these guys are killing it. My family and I were extremely impressed. I really like the fact they kept the $1.85 sloppy joe on the menu for the kids (ok maybe I ate the rest). They also have several sandwiches on the menu as options. Yup, perfect combinations brother. Would love to try that someday.